In July 2013, a SWAT team descended upon Cornealious Anderson’s house. Anderson was handcuffed and lead out of his home while he was still in his pajamas. Anderson convinced the officers to allow his two year old daughter to stay with her grandmother across the street. Anderson was transferred to the Fulton Reception and Diagnostic Center for a sentence given 13 years ago. In August 1999, a Burger King manager in St. Charles was putting $2,000 into a night deposit box when two men used a BB gun to steal the money from him. Two months later, Cornealious Anderson was arrested. In 2000, Anderson was tried and convicted by a jury for armed robbery. He was to serve thirteen years in prison. 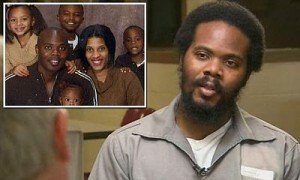 Anderson’s family fought the conviction almost to the top of the judicial system. During the appeals process in 2002, Anderson was out on bail. The appeals court upheld the sentence. So did the Missouri Supreme Court. Finally, the Supreme Court declined to hear his appeal. During the final hearing in 2005, one of the prosecutors somehow misread his file and told the judge that Anderson was currently imprisoned. Thirteen years after the jury convicted him, the Missouri Department of Corrections was about to release Anderson when they realized that the man had never been in prison. During those 13 years, Anderson had rehabilitated himself in a way that criminal justice advocates can only dream of. Today, Anderson is married and has four children. He owns a business, which is filed with the Secretary of State, and pays taxes. Given that Anderson is completely reformed, why doesn’t Missouri just release him? First, the statute of limitations doesn’t apply. Laws typically have time limits for enforcement, but statutes of limitations only apply to prosecution, not punishment. Since Anderson was already convicted, the statute of limitations wouldn’t apply. Also, armed robbery is a Class A felony under Missouri law and class A statutes don’t have statutes of limitations. Second, Governor Jay Nixon’s administration appears to be going for a “tough on crime” image. Missouri’s current governor has only given one pardon or clemency in five years. Attorney General Chris Koster filed a response asking the judge to decline Anderson’s release based on due process or cruel and unusual punishment. Koster’s response was simple: Anderson should have called the Missouri Department of Corrections sometime during these last decade. Although the state was asleep at the wheel, that did not relieve Anderson of his legal responsibility to report to prison. Some would argue that the state cannot arbitrarily decide not to punish Anderson because that would cause other defendants to “forget” to report to prison if the state makes another mistake. Interestingly, Koster’s brief gave Anderson an exit. The Attorney General wrote that if Anderson brought a case against the Director of the Missouri Department of Corrections, the Court could compel the Department to “award credit for the time that passed between the handing down of the appellate opinion and Anderson’s arrest.” Koster relied on a similar case, which ironically also involved an Anderson (no relation). « Do Facebook “Likes” Have Legal Implications?